"All I Really Want to Do" is a song written by Bob Dylan and featured on his Tom Wilson-produced 1964 album, Another Side of Bob Dylan. 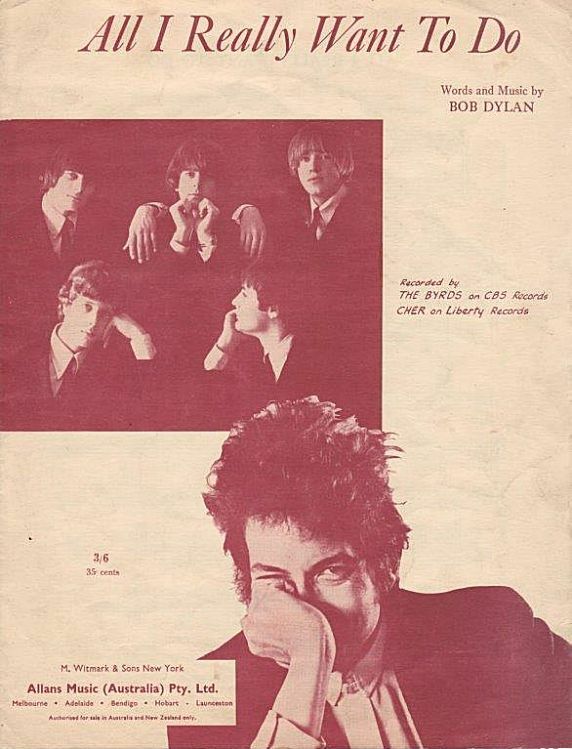 It is arguably one of the most popular songs that Dylan wrote in the period immediately after he abandoned topical songwriting. 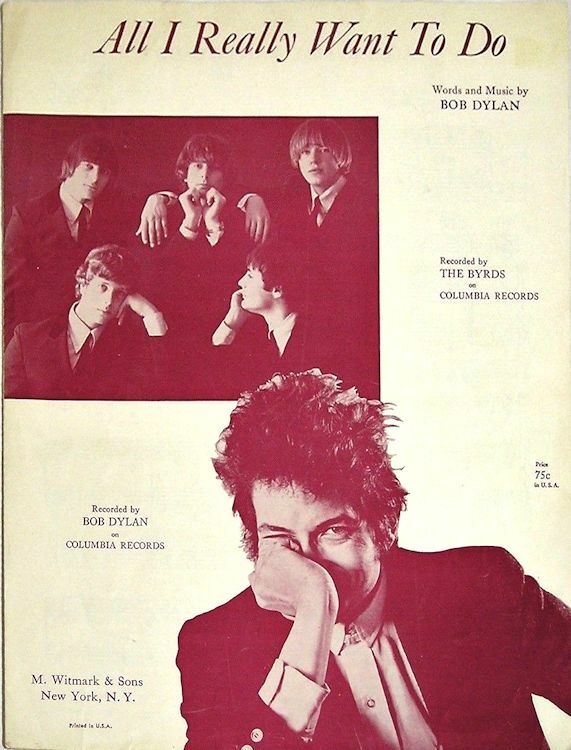 Within a year of its release on Another Side of Bob Dylan, it had also become one of Dylan's most familiar songs to pop and rock audiences, due to hit cover versions by Cher and the Byrds. 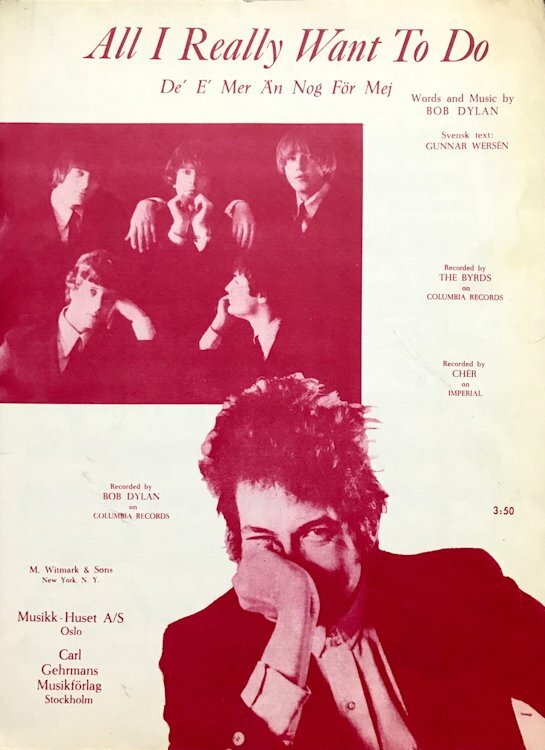 Sweden 1965, published by Carl Gehrman Musikf�rlag in Stockholm with Swedish lyrics by Gunnar Wers�n. M.Witmark & Sons New York, Distributor Australia Allans Music (Australia) Pty. Ltd., 4 pages.